Blue smart is a perfect and comprehensive system for marketing, advertisements and informing via Bluetooth and it is a powerful, rich and unique media for offering the contents and contexts of the products and services. Blue smart prepare the possibility for you to expand your services in one or some special area with classification. This action is possible with making use of several axis and concentrated systems. Blue smart has been formed of complex hard ware with advanced technology that is able to recognize more than 380 mobile phone, it is also has a particular Bluetooth sender and recipient and CMS software. for simultaneous servicing to some users. 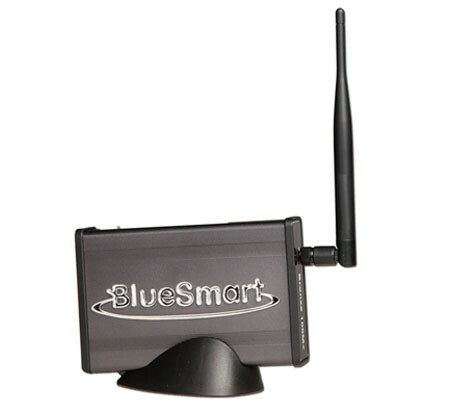 Another advantages of blue smart is that able to connect to LAN and internet and also in able to control and programming from far at the needed times. Blue smart system is able to improve your products and service’s quality, because this system is able to establish the free connection between you and customer. Blue smart also helps to customer for make a good decision about your products and services with sending catalog, pictures and details of your products. It guides them and cause to out standing your services. Number and advertisements in the contacts of the customer’s mobile. Blue smart can send welcome message after the time of the entrance of customers and entertain them with attractive services. Don’t forget that giving the value to customer and make them happy is one of the important business and marketing principles. 1. Ability identifying all of the mobile phones that contain Bluetooth. For example: appearing the congratulation message from the staff of respectable office in the person’s mobiles that have went to related office few month before. 4. Sending V-Card: automatic sending and storage of your phone number in the contacts of person’s mobiles. 5. Ability sending any kind of files such as sound, picture, text and information without size limitation. 6. Possible sending automated of your desirable message to any person that entrance into the influenced area by blue smart. 7. Containing sound, picture and text box for receiving the criticisms and suggestions for carrying out the customer’s honoring plan. 8. 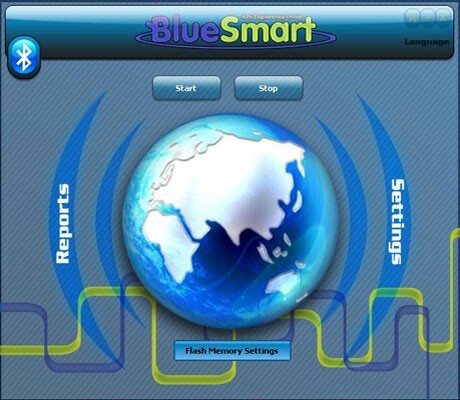 Ability the fast and easy updating of blue smart information system. 9. Possible programming and controlling the blue smart system from far via internet or LAN and WAN networks. 10. Ability servicing to more mobile phone in a moment. 11. Blue smart management ability and organizing for more than 1000000 persons. 12. 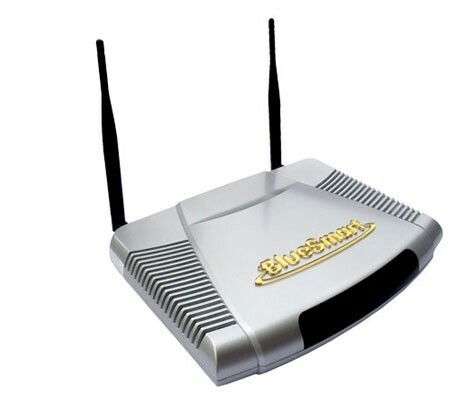 Ability sending any kinds of information from 7 to 112 receiver such as mobile, lap-top and PDA simultaneously. 13. Sending file from within the radius of 10 to1200 meter. 14. Sending any kind of files contain picture files (GIF, JPG , PNG , BMP ), sound files ( WAV, Midi, AV,MP3 ), video files ( MPG MP4, 3GP, RM ), business card ( VCARD ), calendar files ( VCAL ), software and game ( JAR, SIS ). 14. Ability sending a file of 200KB between 4 to 6 second. 15. Sending file automatically and without operator. 16. Recognizing the recipient algorithm, include recognizing the recipient Bluetooth code. 17. Including the unique recognition and prevention system from abuse of the mobiles that are namesake with system. 18. Easy updating of the system software via Cool Disk or network cable. 19. Including black list and prevention system from sending the repetitive contents to a receiver. 20. Adjusting the influencing region and useful scope of the system according to the determined ………………. 21. Including the powerful content management system according to the kinds of variables. 22. Functioning in the two cases of Stand Alone and with PC. 23. Ability working the system with urban electricity or with 12volt battery. 24. Without the need for additional pieces like the hard disk, cooling fan, etc. A. The number of files that have been sent at the defined time. B. The number of failed files. C. The number of rejected files. D. The number of Timed Out files. E. Online report of sending files. F. Reporting of least and most traffic hours of the day in desired date. G. Online reporting the number of mobile phones that have been found with the name of phone, serial number and model of mobile phone. H. including the 12volt power supply with converter. I. Including vrsion.2 Bluetooth technology with high speed and EDR technology. J. Ability installing in the fixed places and on the vehicles. K. Small size and low weight with beautiful apparent. M. Including the free change guarantee for a year and after selling services for 5 years. NOTE: all the mentioned cases at above are free and have no cost to customer and operator. Performance of this model is high due to considering of its price, and it’s able to work unceasing. Silver is a kind of bluesmart which does not need to any computer to work. It has an internal memory for storage information and also it has a powerful processor. Better World with paperless Advertising. Using Bluesmart device in my stores branches making my customers curious.with this plan I can have more ads with lower costs. I feel really happy & relaxed when I see any tree won`t cut for my ads. With Blue Smart device customers can receive more information from my co manufacturing.